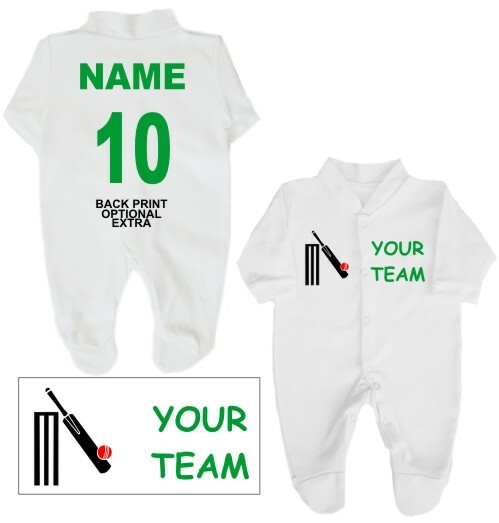 Babygrow or Sleepsuit printed on the left breast with your cricket team name and and featuring a cricket bat and ball on the opposite side. You have the added option of adding baby’s name to the back (£1.00) and a number on the back (£1.00). 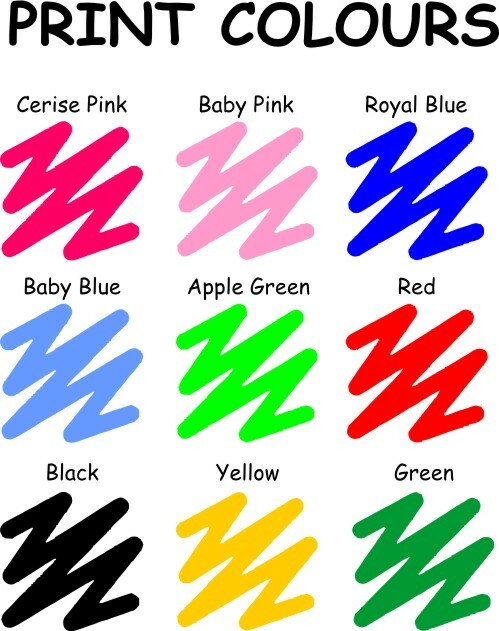 You have a choice of print colours but the wickets, bat and ball will be printed as shown.